Have you ever asked, “Who would be there for my pet after I’m gone?” Up until recently, pet owners had few alternatives in providing for their companion animal, should they–the owner–pass away. Not everyone has a friend or family member who is able to assume responsibility for the care of their pet. 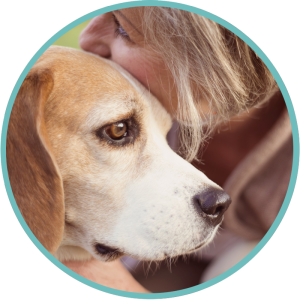 Recognizing that companion animals are a vital part of our family, Yavapai Humane Society established the Pet Guardianship program to give you piece of mind. Under this program, members leave instructions in their wills that their pets will be bequeathed to Yavapai Humane Society. We will provide for the pet’s unique needs, including medical care, and will find the animal a loving lifetime home. All we ask is that you maintain an annual donation of any amount to the Yavapai Humane Society, and include Yavapai Humane Society in your will. In return, we’ll do everything in our power to ensure your beloved pet finds the perfect new home. It’s easy to enroll in our Pet Guardianship program! The language below is a suggestion to use in your will to designate the Yavapai Humane Society as the beneficiary of your pet(s). IN A WILL At the time of my death I give my pet(s) ________________________________ [name of pet, type & breed] owned by me to the Yavapai Humane Society, Prescott, Arizona to be placed in a loving home(s) pursuant to the Society’s pet guardianship program.